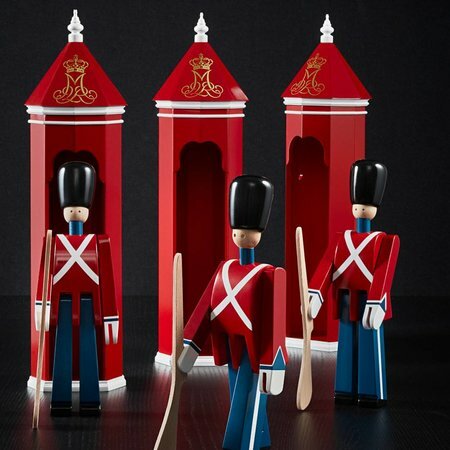 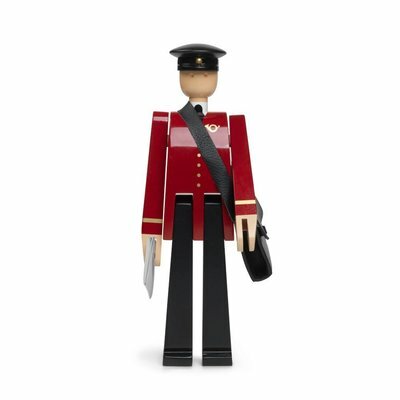 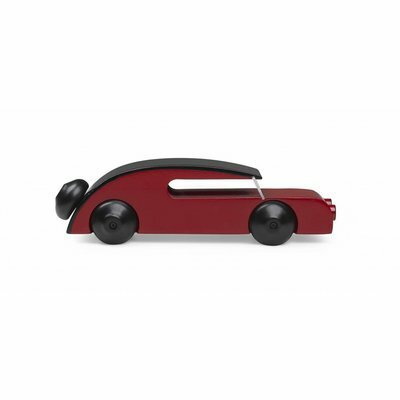 Now you can give your Royal Guardsman a place to shelter in this beautifully crafted sentry box. 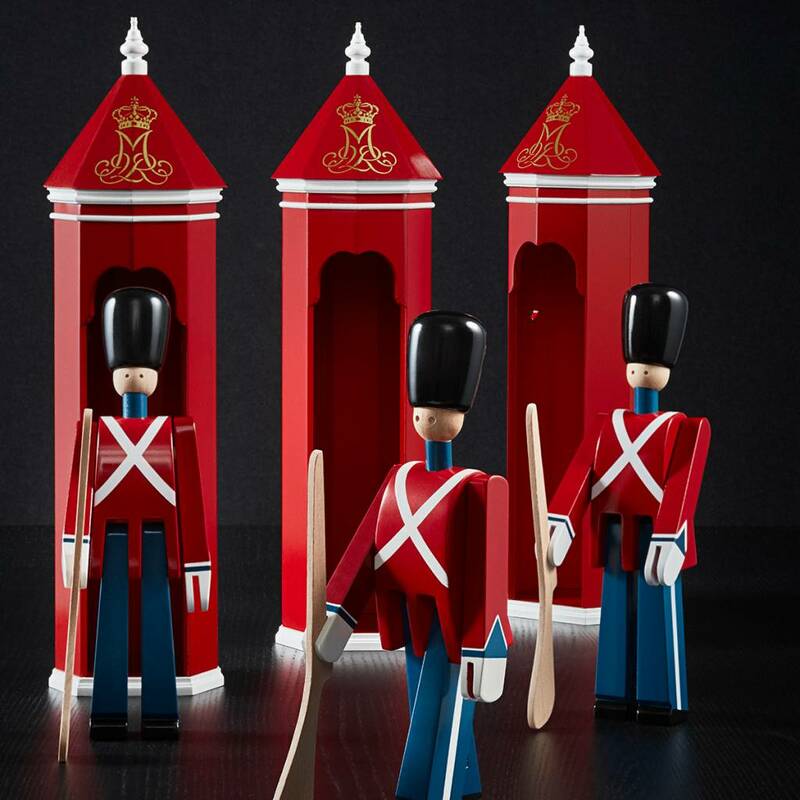 Superb wooden sentry box for Kay Bojesen’s magnificent Royal Guardsmen. The sentry box stands 36 cm tall and is a scaled-down replica from original drawings of Danish military sentry boxes. 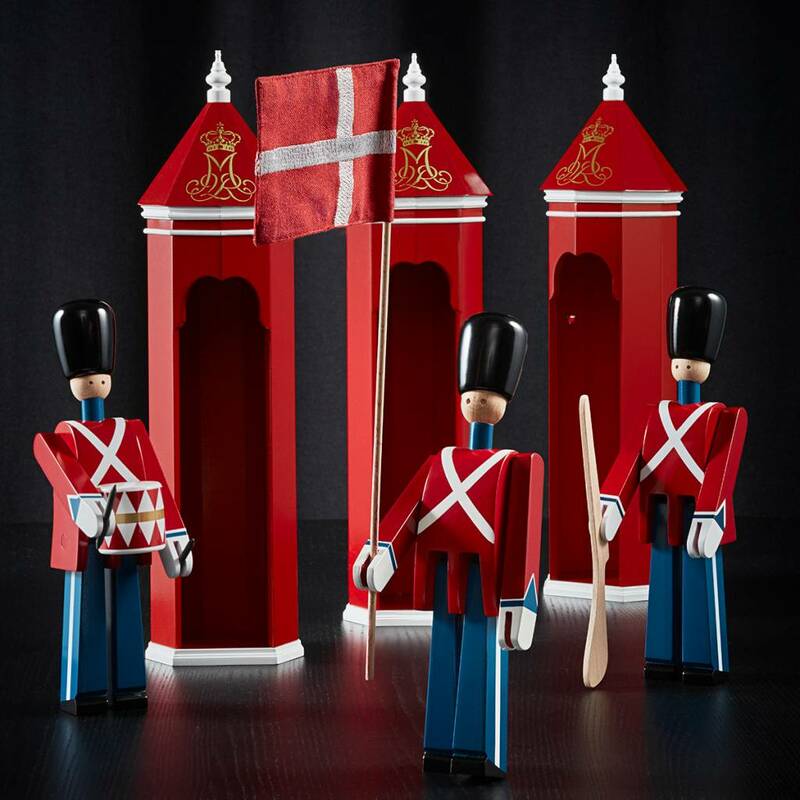 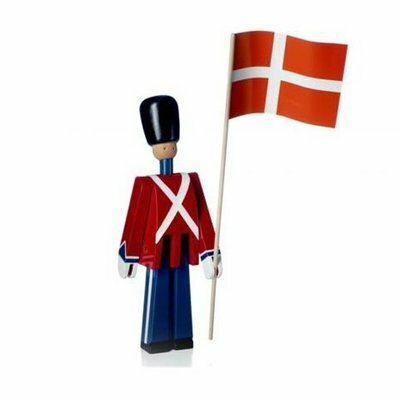 The Royal Danish Life Guards have guarded palaces and castles in Denmark since 1658, and Kay Bojesen designed his classic Royal Guardsmen in 1942. 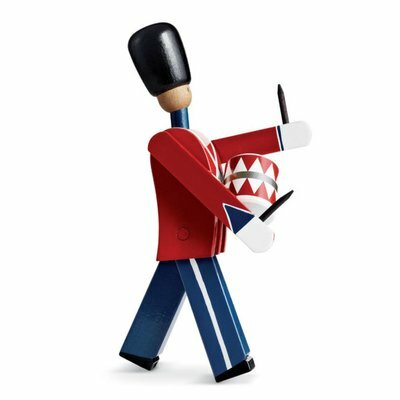 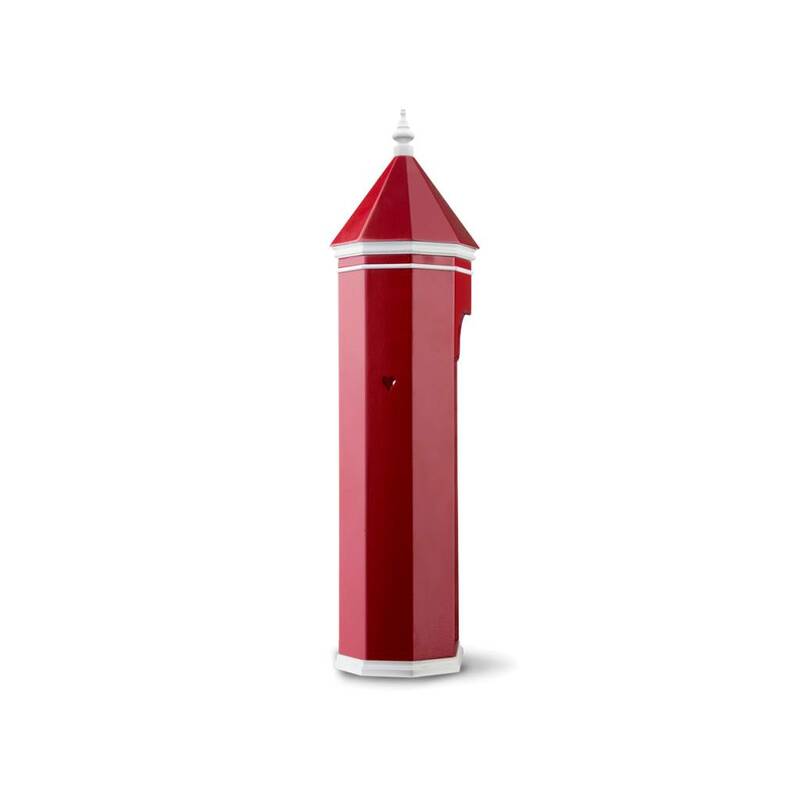 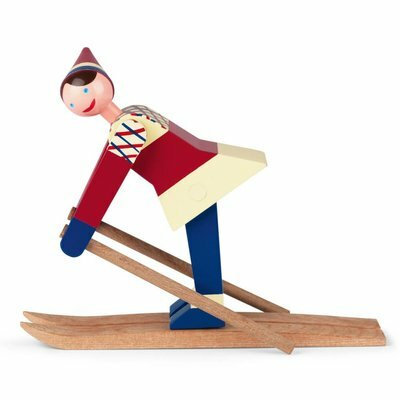 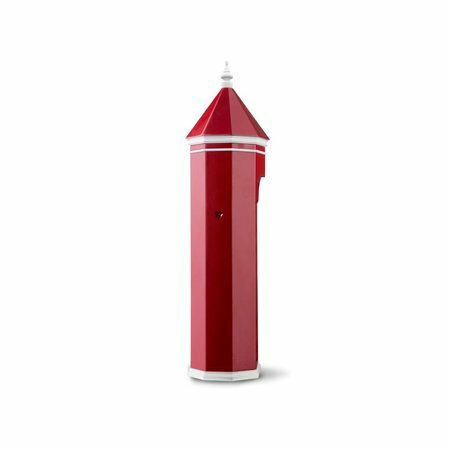 Now you can give your Royal Guardsman a place to shelter in this beautifully crafted sentry box, painted in the traditional red and white colours and embellished with the Royal Monogram in gold.